While America has transformed in its understanding of marriage equality over the last five years, unmarried estate planning is still vital for those who, by choice, remain unmarried. Unmarried estate planning was the bulk of my practice prior to marriage equality. In 2010, I published a law review article on estate planning for unmarried couples discussing just this material. Finding the loopholes that would provide protection for unmarried couples is an art form and many today who are unmarried by choice, must know these rules and regulations that may negatively affect them without proper planning. What unmarried couples must know – The law protects married couples in a way that is truly unique. While some argue against making marriage the benchmark for protection, it nevertheless remains the standard in America. Without proper planning, a surviving unmarried partner can face a number of pitfalls that could have been prevented with careful planning. The main categories of awareness center on death, property, health care and asset transfer. Death – When an unmarried person dies, their Will is the operative document for distribution of assets upon their death. If that unmarried person dies without a Will, the state in which they live will decide through the law of intestacy who receives from their estate. Blood relatives are given priority. In many states, New York included, if an unmarried person dies with a Will, their closest living legal relatives are also required to consent to the probate of the decedent’s Will. The emotional and financial costs of these notification provisions can run high depending on the legal family of the decedent. To best prepare for these issues, maximize your non-probate assets, or assets that are titled solely in the name of the one unmarried partner. Create “POD,” or payable on death, designations for your bank accounts so they don’t have to go through probate. Place real property titled in one unmarried partner’s name into a trust, which removes it from probate. Also, verify all of your non-probate asset designations, such as life insurance beneficiaries, IRA beneficiaries and 401(k) beneficiaries. These assets will pass directly to whomever you designate, as long as you make a designation. 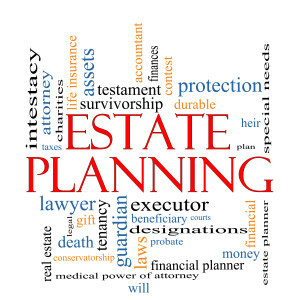 If you do not, those assets pass into your estate and must go through the probate process. Real property – You cannot discuss unmarried estate planning without talking about real property ownership. If there is one legal owner of a house or apartment, then upon death the property will pass either through the Will of the decedent unmarried partner, or through a trust if they were savvy enough to create one. If you purchase the property together, make sure to hold the title as Joint Tenants With Right of Survivorship. This will ensure that the property passes to the surviving joint owner without having to go through a probate or an administration proceeding to pass to the surviving partner. Health Care – One of the most important aspects of unmarried estate planning is addressing one another’s health care needs. Each partner should have a carefully crafted Medical Power of Attorney, or Health Care Proxy, and a Living Will. These documents will ensure that your individual wishes are met given an end of life situation and that your partner will make the medical decisions necessary if you cannot. Asset Transfer – One of the real benefits of marriage is the unlimited transfer of assets between spouses, both during life and after death. If an unmarried partner wanted to add their partner’s name to the deed of a home or apartment, they would have to file a gift tax return for half the value of the property. If, however, they were married and did the same transaction, no gift tax return would be required. Likewise, gifting of over $14,000.00 to any one person who is not your spouse in a calendar year also requires the filing of a gift tax return. For more information about unmarried estate planning, please visit www.timeforfamilies.com or email me at Anthony@timeforfamilies.com. 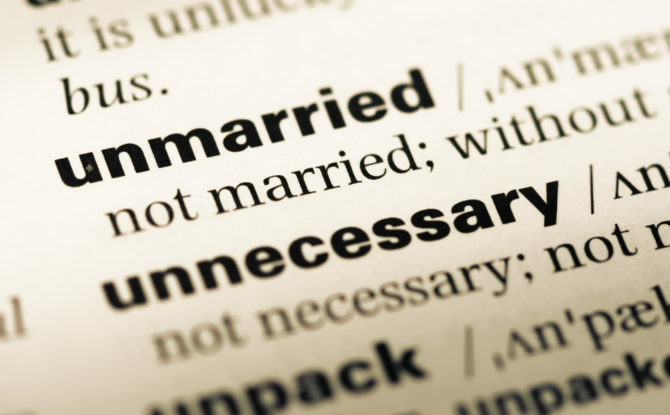 Whether you are married or unmarried it is important to have a will if you have particular wishes for your assets. Very informative post, thanks for sharing!